All Hail The Return of…The LP Record? There is a curious trend that has been taking hold over the last couple of years. As our lives go increasingly digital, an underlying yearning has taken root for “the tangible.” Forget virtual — physical is where it’s at, and machined objects, gears and, yes, even turntable albums are back with a vengeance. Vinyl records? In this MP3-driven, DRM-saddled era? Yep. Despite a slump in CD sales in Britain and a slowing of the music market in general, The Telegraph reports that sales of vinyl albums over there actually picked up — by as much as 40 percent. But who needs to buy albums when you can just make your own, like Amanda Ghassei? 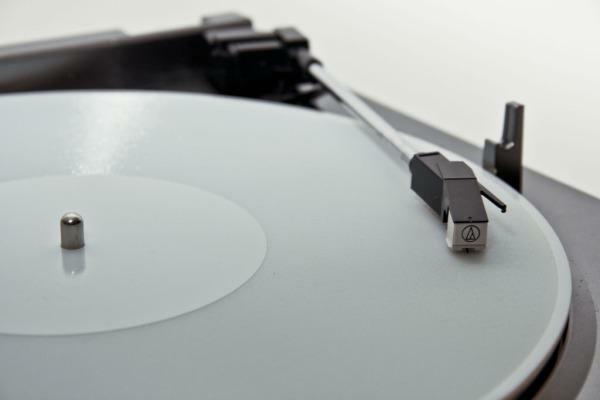 She figured out how to create 33rpm records using digital audio files and a 3D printer. To play, no special equipment is required other than a turntable and standard needles. …the sampling rate is 11kHz (a quarter of most mp3 audio files) and with a 5-6-bit resolution (most mp3 audio files are 16-bit). Still, despite the compression and relative newness of the technique, it’s a pretty impressive sound for something made on a Connex printer. To hear the 3D-record version of Radiohead’s “Everything In Its Right Place,” check out the video below. The official music video version follows. Perhaps it’s not the same as the real thing, but it speaks to something pretty powerful. Ghassei’s experiment is just the latest example in the search for meaningful tangible objects in this increasingly virtual world. Wristwatches have become popular again, as well as instant cameras that spit out actual snapshots that develop in your hand (á la Polaroid instant cameras). 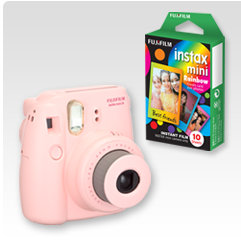 Although Polaroid came out with a hybrid digital/instant camera, the product du jour right now is the Fujifilm Instax Mini 8. The popular Instax model, which debuted last November, uses actual film. And it has been flying off the shelves. Items like this are coming back for one reason: They’re not virtual, but physical, and therefore fascinating — especially to a generation of people who have never known anything but a digital world. As for this ingeniously manufactured record, it’s one of the coolest fusions of old and new tech we’ve seen. And it’s a sorely needed pick-me-up after the controversy last month, when it was discovered that people were using 3D printers to make gun parts. I’m still a fan of 3D printers, and I definitely see massive potential in the future of this technology, but that’s a frightening detour. After all, physicality is all well and good, but let’s not get crazy.